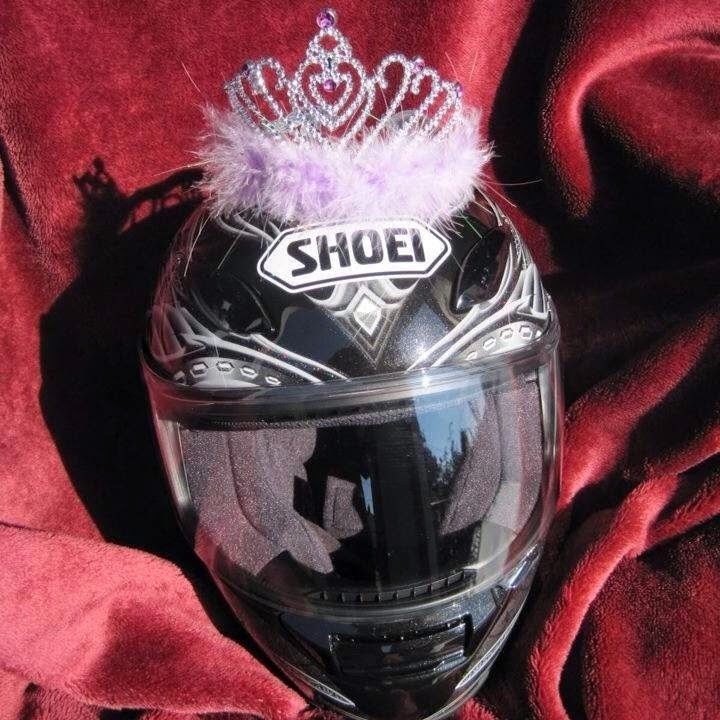 Princess Scooterpie - A Motorcycle Diva who likes to moto wander & write about it. The West Coast of Vancouver Island is stunningly beautiful. Tofino is our vacation destination of choice and we have spent many a summer here walking the beaches. kiting, kayaking and enjoying the ocean. The road to Tofino is narrow and windy, perfect for those hunting the perfect twistie by motorcycle. However we usually come by motorhome and just relax. When we are in Tofino we do a lot of walking or bicycling. 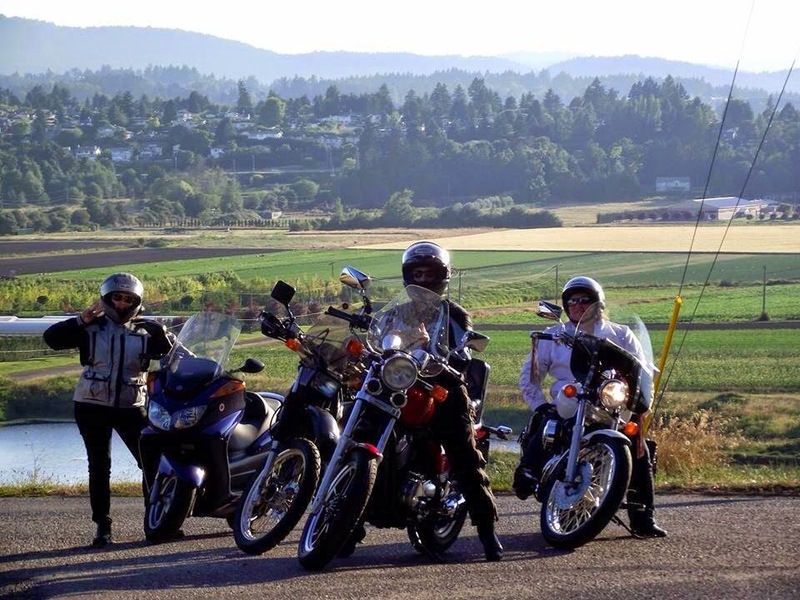 I am planning a motorcycle weekend with the hubby in the next few weeks, just to experience the twisties. The picture of the twisties of the Pacific Rim highway are not done justice through a moving motorhome window. It is very narrow and very twisty. Our little dog frolics like a puppy when we back to Tofino, but this year she has slowed down considerably. Our beach walks are lovely, but she can't go the distance she used to and we end up carrying the little might back. I am not sure how many more summers we will spend together and that in itself is bitter sweet. Last night a storm rolled through the area and brought thunder, lightening and torrential rain. I have to say I am so glad we were not in a tent. I think I have done my tenting days and require a little luxury for these middle aged bones. Even on cloudy misty days Tofino is spectacular. Storm watching is quite a hobby with folks during the fall and winter and I hear it is breathtaking to behold. If you have never been to Vancouver Island you are missing out. Tofino is breathtaking and recharges ones soul. Motorcycle Man is the love of my life and we went on a moto date Sunday! Sunday arrived and it was beautiful, stunning in fact. We got up and had a leisurely breakfast and I prepped ribs and popped them in the crockpot for dinner. Scooterpie Jr didn't feel like riding and had a friend over. Motorcycle Man and I took advantage of having some time to ourselves and headed up Island. We had no particular destination, but didn't want to make a marathon expedition, so we zipped over the Malahat and rode to Cowichan Bay. Private marina where we first lived aboard our lovely little floathome. When we first moved to the Island we lived in an apartment on a busy street, it also happened to a route the ambulance took regularly. We were ready to move out of it within 9 months. We stumbled across an ad for a floathome that was for sale and we were intrigued and ended up purchasing it. The house was moored up in Cowichan Bay, lovely little spot, quaint coastal community and we were welcomed with open arms. We loved our little seaside retreat, but eventually the 90 minute commute was getting to us so we towed our house down to Victoria and happy lived aboard for 10 years and the precipitating factor for moving back to dry land was our wee baby daughter who was starting to toddle. We needed grass under our feet instead of water. Sunday we headed off and went to some of our old haunts and strolled the village. It was like going home again and made us both homesick for our floathome. Cowichan Bay is an eclectic little village with wonderful little shops and great restaurants. Our favorite was the Rock Cod Cafe when we lived there and their crab nights were legendary, all you could eat crab for $10. We stopped there and had a cold drink and some appies. This floathome belonged to a friend and is moored in the spot our house was. Moi very happy and contented after an afternoon of moto wandering. Today Scooterpie Jr and I went and played in the dirt. It was beginner day at West Shore Moto X. At first I was going to just watch her go for it, but then I decided I was going to give it a try. 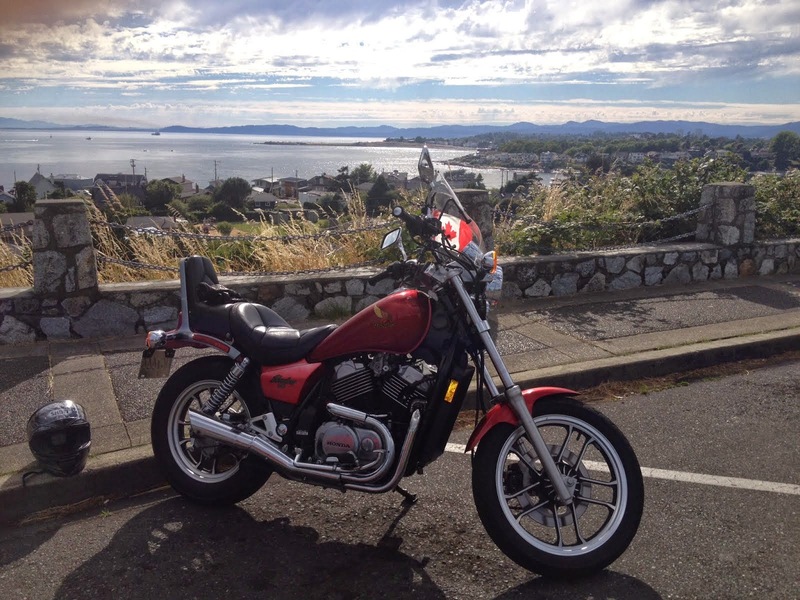 I rode a little Honda 80cc. After I was given some instruction about riding in the dirt and the subtle differences between dirt and street - do not use the front brake. Off I went. At first I was very tentative and it felt weird and very foreign to all my street riding sensibilities. I was going slower than molasses the first few laps. It was a little disconcerting feeling the bike slip and slide. Truthfully it felt like riding on slippery marbles. After the third lap I was starting to get the feel of cornering and learning to ride with it and not fight against it. Then there was the puddles....Oh my goodness I seem to love the puddles just as much as Scooterpie Jr does. I could not resist plowing through them and getting soaking wet. I was squealing with delight! I can hear my riding instructor Gord saying it in my head. Once I got over the initial fear of sliding and falling it seemed to get easier. I had a death grip on the bars and finally that eased up as I was getting comfortable with riding on an unstable surface. I couldn't resist the puddles on every lap and wish they had more! My boots were full of water and I could feel it swishing around. I rode for about an hour and I was exhausted but very happy when we finished. I have decided that I need to add a dirt bike to my riding stable. I am totally hooked on this, I never thought I would be, but HOLY HANNAH this was FUN!!!!!!! It seems a few times I was concentrating so hard that I forgot to look where I wanted to go and actually ended up sliding in a turn and almost went over the berm, WIPEOUT!! Thank goodness I was wearing full gear because the peg smashed my ankle bone and it is a little tender, but do not think that this stopped me for one minute, got back on and off I went hunting mud puddles. instruction before heading out to the track. After awhile I dropped the old lady speed and started whipping around the track. I was standing up on the pegs and even caught air a couple of times. Who'd of thunk at my age I would love this. Hmmm I wonder if I should try super moto next.... I have already checked out the internet for a used dirt bike. I had my own little lake inside my boots and yup I got dirty! My legs felt like jello and my arms were tired, but I was euphoric from the experience and I can hardly wait until we go play in the puddles again. I wish I had discovered this years ago, and if you haven't tried it, you should! My friend Edith came out and she captured my mud moments for me on my camera. Thanks Edith!! 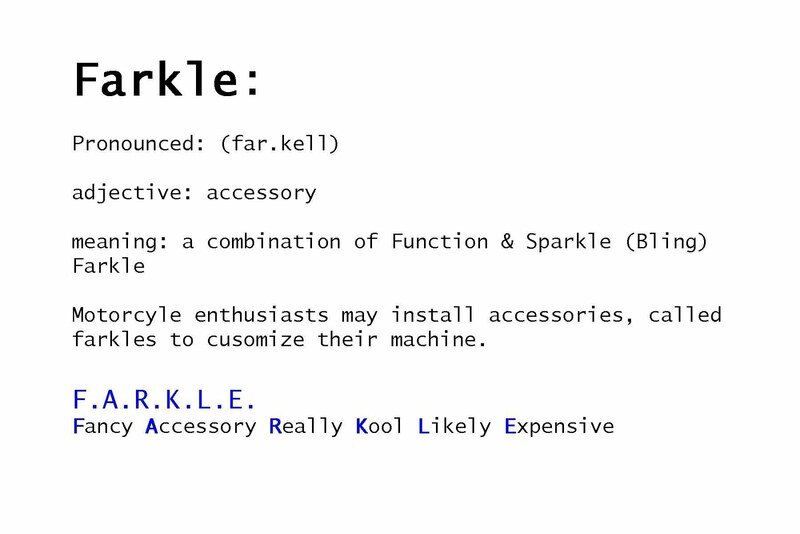 Motorella - Ain't no glass slipper here only motorcycle boots! Just a gal with a red bike who likes to moto wander. A lid fit for a princess! I am a random free spirit, I love motorcycling. 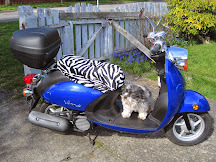 I started my moto adventure on a litte 50cc scoot in January 2011. 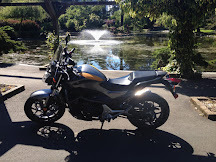 My current moto love is a 2012 Honda NC700C. What a journey this has been! I have a deep sense of adventure. I have come full circle and am a a licensed motorcycle instructor. Follow me on Twitter @Moto_Diva Join me on my new adventure as a Co-host on Farkle Garage a 30 minute show about everything motorcycle. Catch us on twitter @FarkleGarage - Facebook Farkle Garage - Youtube channel coming soon! Finally catching up on some pictures of my vacation to Tofino. Happy New Year! Hope your 2017 is full of adventure! All posts & pictures are the property of Princess Scooterpie Blog. Picture Window theme. Powered by Blogger.